We Provide tips and advise in Stocks, Nifty, Futures and Options in NSE and BSE. Dmat. And trading account. Open dmat and trading account In equity cash. And f&o Online trading provided Simple documantation Doc req Pan card/aadhar card. Currently in the financial market, equity shares trading have very wide area to invest your money. Major portion of Investment in capital market occupies form of equity trading. There are two chief markets in India for trading in equity shares is National Stock Exchange of India Ltd., (NSE) and Bombay Stock Exchange (BSE). TradeNexa is a one stop solution for the Options Trading Strategies. 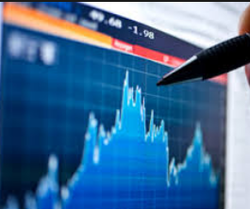 We are pioneers in financial markets and our technical analysts provide you accurate tips to earn colossal profits. Option Traders can avail our Option – Call and Put Tips services to gain high profits. Capital Aim uses secured strategies for derivatives. International Marketing Strategy : Strength In: USA, Canada, Brazil, China, Senegal, Tanzania, Kenya, Uganda, Indonesia, Zimbabwe, Kazakhstan, Sri Lanka, Saudi Arabia, Middle East, Spain, Australia, Bangladesh, Taiwan, South Africa, Afghanistan, Pakistan & INDIA. Our trading capability extend across Cash segment of BSE and NSE, Derivative and Currency segments of NSE, and MCX. Option intraday trading is referred to as one of the low risk and high return package which requires less investment in the stock market. Globally, option trading is the most popular form of trading.